I got a killer deal on these boots and therefore didn't have the highest expectations for them. Any other replica boots I would have had to pay at least four times what I paid. But these are of excellent quality and comfort really at any price-point. Even fresh out of the bag they were comfortable and didn't require a painful breaking in. They DEFINITELY run true to size, not big or small. They would also be of good enough quality to alter if you wished to bring them closer to full replicas. You really can't go wrong with these! 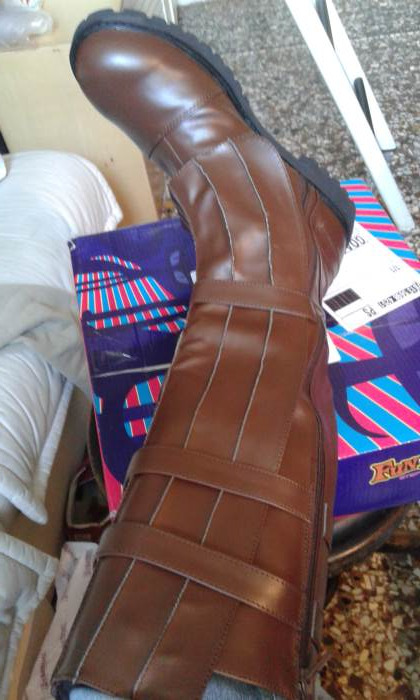 The boots were just what I expected but I would have like to have had a better explanation of the sizing. I erred on the size of too big and that's exactly what they are. They are managable for costume wear. Awesome quality, looks great, only thing I would say is that it seems to run a bit large, mine are a bit larger than I expected. 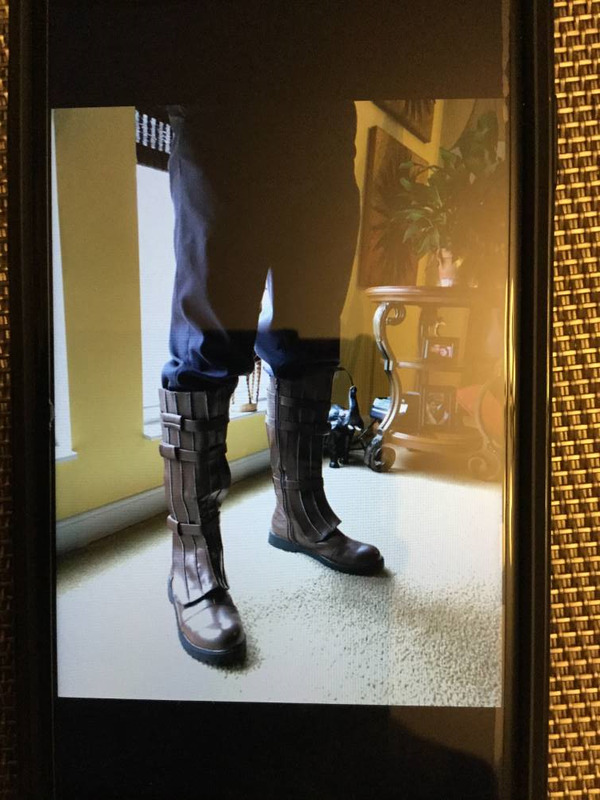 Just received these boots for my Anakin Skywalker cosplay and I'm very impressed with them. The spats are adjustable and removable which I like because you can make a set of spats for Obi-Wan style boots. They are comfortable but I also recommend some gel souls if you are going to wear them to cons. For just costume parties you should be fine. Awesome, fit as expected, comfortable, well constructed.. Price point was excellent. Hi! Thanks for your positive review on the boots. I am glad they fit well and were comfortable, as well being affordable. I wear a men's 9.5 and ordered the men's small size. I was worried they would be too small, but the boots arrived today and they are nice and roomy! As others have suggested, I'll probably insert some kind of gel sole or pad. We'll see about durability, they do look well constructed though. In any case, I'm very pleased. 4 stars for now until I can make sure they won't fall apart. Thanks! Impossible to find. Cheap. Great quality. Good fit. Got here fast. I love these boots. 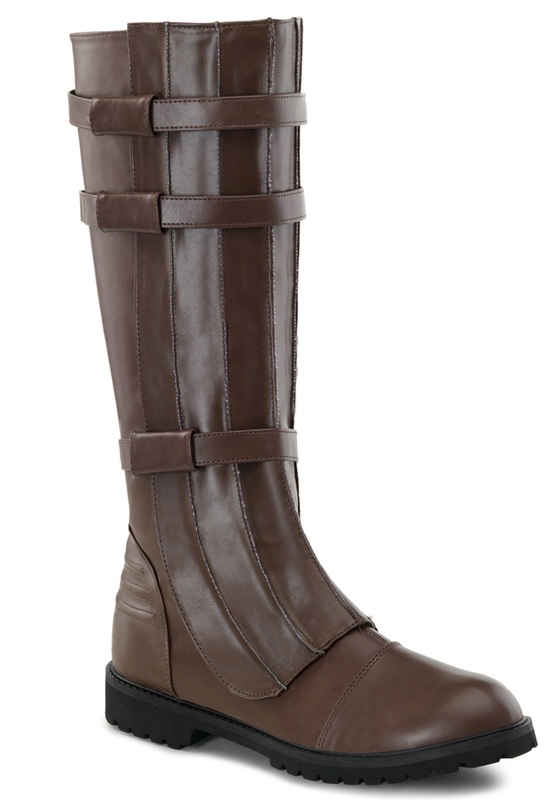 If they are a bit tight in the calf when zipping up, make sure the leather bands are unvelcroed. Like others stated, the size runs a bit large. I am very happy with these.